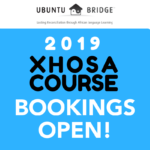 UBuntu Bridge conducts popular and enjoyable classes to help adult learners become comfortable and confident in everyday conversational isiXhosa and isiZulu, through a mix of practical grammar, cultural insights and crucial vocabulary with fun, engaging facilitators. We conduct isiXhosa in Cape Town and isiZulu in Johannesburg. The content is very similar for both but there are only levels 1 & 2 for Zulu at present. • Level 1 is a stand-alone introduction that gives learners plenty to digest. It is a basic foundational course to facilitate greater awareness and initiate conversations. • Most people oft for Level 1 and 2, with Level 3 being for more committed learners. • Each level’s content is mirrored in an A5 manual, with 2 corresponding Audio CDs that explain and encourage listener participation. • All three levels would give a learner a thorough and excellent foundation, but requires strong learner commitment. • Interesting, relevant and insightful culture topics are discussed in each class. • Each lesson has clear grammatical explanations, with vocab lists, exercises, Lesson Essentials Test, and a relevant sample conversation, making use of each specific lesson’s teachings. Lesson 9: Negatives and Clarification Phrases cont.. Most especially, beyond pieces of paper, you receive an exceptional, inspiring and highly interactive language training experience, and for us the real certificate is the one you create when you speak to someone with the respect and confidence that we aim to instill in you. You will need to request a certificate and collect it/pay for postage. 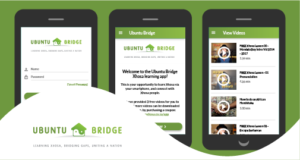 Whilst 80 or 90% may sound like some mythical and impossible figure from school days, at UBuntu Bridge our assessments are of a standard that is appropriate for our learner’s rate of progress. You are guided and mentored all the way into the assessments and you are given the answers beforehand to learn from and practice or your assignments are reviewed by the teacher with you in class. Most students get close to, if not 100% and the only way for you to fail is if you really don’t bother to learn, in which case your language skills would not be worthy of the certificate anyway. The course is fun and manageable but is about attaining a certain standard as well, and that is why you are coming to do a course with us. 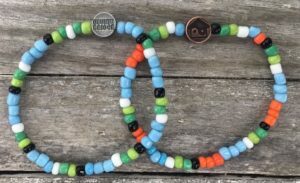 Certifi-Beads are our new visual form of beaded bracelet certification that motivate and inspire learning and speaking after a course. Please select an option from the buttons above. Our corporate services are on sabbatical, but the best certificate is speaking, and this course will help with that. Although if you work through Levels 1 and 2 as found in the shop, we can arrange assessments when you are ready! Hi Hendrik. None at the mo. Please subscribe to the newsletter for updates! Not yet Joelene. Try the products in the store. They are awesome for self-learning! Mhlawumbi sisi. Andiyazi nini! Abafundi bambalwa! I subscribed to start my online Xhosa course but I am not sure if the introductory video is the first lesson or not. I clicked to receive the first lesson and I got the introductory video again!!! A bit upset now! Help, please! Hi there..I’d really like to speak, read and write IsiXhosa for social an professional purposes.. Are there any ways to study online? If so, please provide me with a Link to a website. 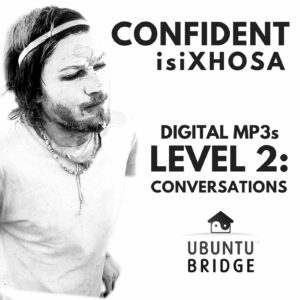 Thank you..
i would like audio tapes to learn Xhosa that i can learn Xhosa while i am driving. 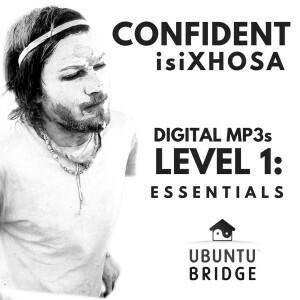 Hi Saskia, try email sales@learnxhosa.co.za and they can let you know as soon as they are available again in CD form! How much is a Xhosa course (level 1, private lessons)? Where is your Zulu level three course? I have done the levels one and two. But there are many great Zulu books out there. We specialise in getting people started with some confidence, and would need more interest/investment/support to develop further materials! 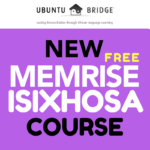 Hi there, I want to learn to speak conversational isixhosa from scratch. Would Level 1 and level 2 be the way to go before moving on to level 3. Are these purely audio and text without video content? 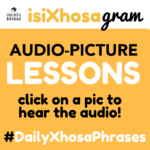 Your free video’s are great and given me inspiration to learn isiXHOSA. Yes, start with 1 and 2 and then 3!